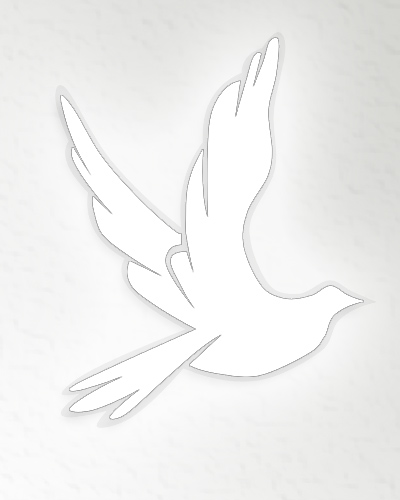 Obituary for Leta C. Bolton | D.L Calarco Funeral Home, Inc.
Watertown, NY – Leta C. Bolton passed away in the care of Hospice on Saturday, March 30, 2019 with her family by her side. Leta was born October 18, 1920 in Watertown, NY, the daughter of Roy and Florence House Washburn. She graduated from Evans Mills High School in 1937 and Potsdam Normal School in 1941.Leta taught in the Calcium Elementary School from 1941 to 1944. Leta married Stephen C. Bolton in Watertown on September 24, 1944 in Hope Presbyterian Church. Upon her marriage she devoted her time to her children, Bolton’s Pharmacy and the care of her mother. She was active in the Girl Scouts and Hope Presbyterian Church where she served in the Sunday School, Junior Church, Day School, the choir and worked as a Deacon. Leta was predeceased by her husband Stephen, brother Harold A.Washburn, and son-in-law Gary Ross. She is survived by four children, Cheryl L. Ross of Black River, Ardis M. Seifried (William), Stephen B. Bolton (Yvonne Reff) and Nola C. Bolton, of Watertown. Also seven grandchildren, Brenda Levine (Jason), Barbara Rogers (Peter), Kelly Naumiec (Richard), Katie Ross (Joe Craig), Jennifer DeForest (Craig), Zach Bolton (Nicole), Adam Bolton (Awo Sena). Thirteen great grandchildren: Griffin DeForest, Nick DeForest, Abi Levine, Jacob Levine, Isaac Levine, Claire Rogers, Gregory Rogers, Henry Naumiec, Charles Naumiec, Olivia Bolton, Kaleb Beaudoin, Milena Bolton, and Daxton Craig. A memorial service at Hope Presbyterian Church at 11 am on May 11th. A committal service will follow in Brookside Cemetery. In lieu of flowers, please direct donations to Hospice of Jefferson County, 1398 Gotham Street, Watertown, NY 13601 or Stone Presbyterian Church, 140 Chestnut Street, Watertown, NY 13601. Online condolences may be made to www.dlcalarco.com.